Microsoft is rolling out a new edition of its Outlook mobile application for iOS this week. While big app upgrades normally comprise a number of new functions, Microsoft is taking a different stand since this is almost all about design. There are slight modifications that are introduced to polish up the app for enhanced experience. The icon for calendar animates when you are moving forwards & backwards, and swiping on emails now comprises haptic feedback so it feels like you are actually moving an email. While you may not instantly notice these modifications, there is one very palpable addition at the app’s top. 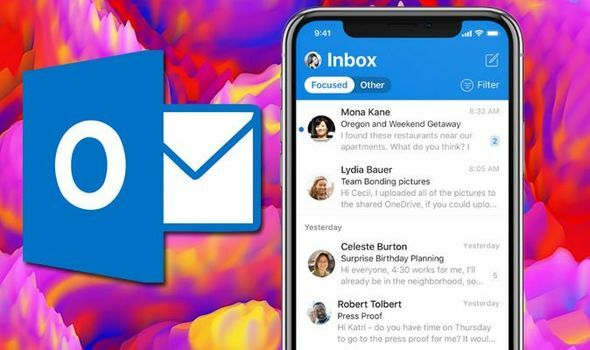 “The blue was not present on iOS,” claims chief of mobile design at Outlook, Miles Fitzgerald, to the media in an interview. “We are gathering the family together, and we are proud of it.” The blue was fraction of Android, but this newest design is obviously a larger effort to shift away from the all-white design for iOS that initially shipped as an application to vie with built-in mail app by Apple. On a related note, Microsoft earlier claimed that it is mulling over injecting ads straight in your inbox. As per Aggiornamenti Lumia (Windows news site), the beta edition of the firm’s Windows 10 Mail client has been positioning ads right at the inbox’s top. However, the firm has since switched off the feature and states that it was just a test. The test nations comprised Canada, Brazil, India, and Australia. According to the support paper, the ads were seen on Windows Pro and Windows Home but not Windows EDU or Windows Enterprise. Ads were shown on “non-work accounts” set up via the mail, comprising Gmail, Outlook.com, and Yahoo Mail accounts. Consumers who have a subscription for Office 365 (that has a price tag of $70 per year or $7 per month) connected to their email address will not be shown theses ads. Tony has a keen interest and detailed acquaintance about the world of technology. He likes to stay updated as well as keep others updated about the recent and imminent technologies, which makes him an apt depicter of these events and happenings in a well-versed way. Tony, at our organization, deals with all the recent launches, updates, and inventions surfacing in the technology field. He, in free time, like to go trekking, traveling to new places, and attend technology workshops, exhibitions, and conferences.